People in small towns are definitely more friendly. Away from Hanoi, and all the other major tourist enclaves, I finally got to see the more friendly and warm face of real Vietnam, where people are genuine in their interest to know you, and wanting to share their lives with you. While checking out the Xmas bomb courtesy of NUS, the net cafe owner started chatting with me. Turns out that he’s actually an English teacher at the only university (some fishery university) in Nha Trang. 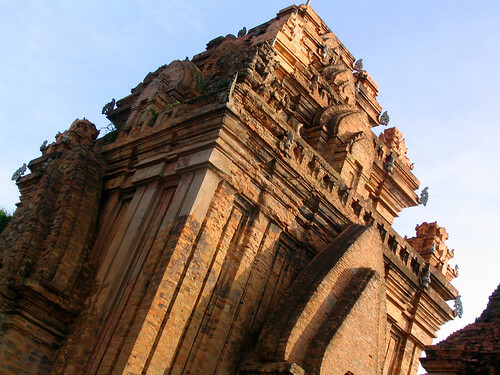 Some interesting facts about Vietnam that I found out from him include: Nha Trang is the fourth largest city in Vietnam after Saigon, Hanoi and Danang. Apart from the chat with the net cafe boss, I also received an invitation from a Vietnamese girl to celebrate Xmas with her family, though my initial enthusiasm for the invitation was clouded by the shadows of my experience with the Vietnamese in Hanoi. One thing that unites the Vietnamese is their sense of purpose, versus the aimlessness of the lives of Singaporeans. They always seem to know what they want to do with their lives. 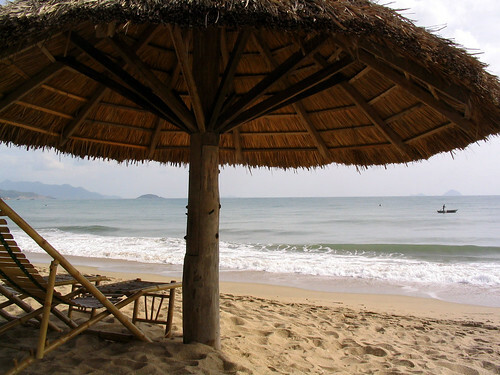 Nha Trang is basically visited by Caucasians for its beaches and islands. It has really nice beaches, and though it probably can’t match up against Thailand’s powdery white beaches, it wins hands down for being less crowded than the commercialised Thai beaches. 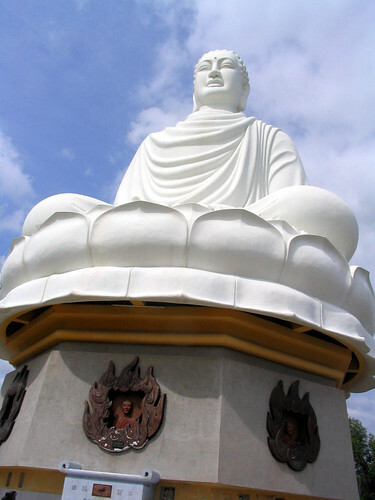 But for me, Nha Trang is home to the Po Nagar Cham Towers, and the magnificient white Buddha. The Po Nagar Cham Towers are still in use by locals, whom from what I read, pray for fertility over there. Though small, and somewhat out of place in the concrete jungle of Nha Trang, it is no less elaborate for being a work of Cham handicraft! Though I was supposed to share a room with Jin Hee initially, and spend the night in Nha Trang, before moving on to Dalat with her, my haste got better of me, and I decided to leave Nha Trang on an overnight bus and head towards Saigon. Well, Xmas was toasted with strong (FREE, whee!) banana rum with Jin Hee, washing down my chicken fajitas and cheese nachos.